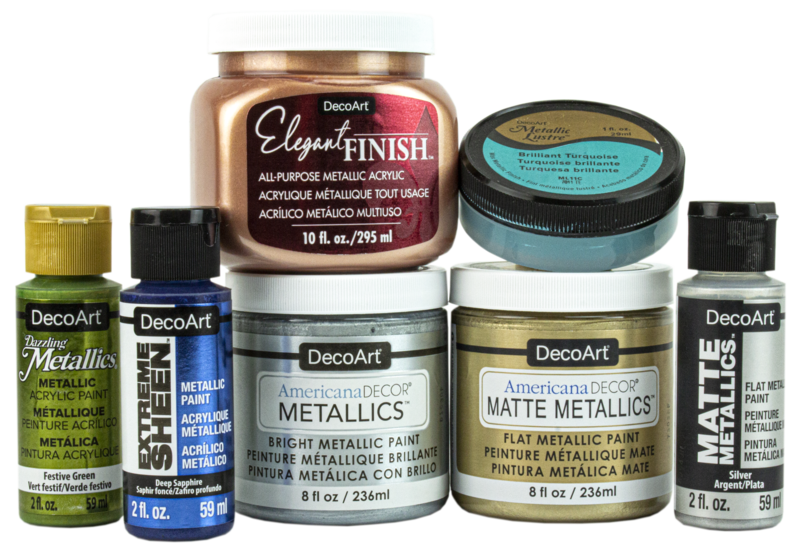 Dazzling Metallics are a premium, all-purpose, permanent metallic paint that adds an elegant shimmer to art, craft, and home decor projects. It's made with the brightest metallic flakes available and delivers excellent, opaque coverage. Select colors are also available in a writer and glaze. Dazzling Metallics comes in 31 colors that offer excellent coverage. Select Dazzling Metallics colors are also available with an easy-to-use writer tip for outlining, personalizing, or adding metallic accents to any surface. Use these translucent glazes for antiquing, glazing, staining, and more. They are great for faux finishing techniques. Shake well before using. Apply one well-brushed coat using a soft brush or sponge brush. 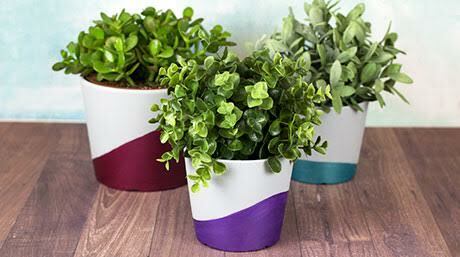 Apply multiple coats when using more transparent colors. Allow to dry thoroughly before applying additional coats or varnishes. Pre-wash and dry fabric first, then apply generously with a soft brush. Dry 48 hours before washing gently in warm water using unscented, mild detergent. Hang to dry. Pearl colors may require second coat. If used on fabric with other acrylic paints that require heat setting, Dazzling Metallics will not be damaged by heat setting. The garment can be placed in a dryer briefly to remove wrinkles. Do not leave until garment is completely dried as the heat will dull the metallic finish. 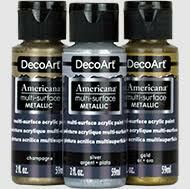 Do not add Drying Time Extender, Fabric Medium, or any other medium to any Dazzling Metallics. It can lessen the intensity of the metallic finish. Dilute with water when needed. Do not use over Weathered Wood. 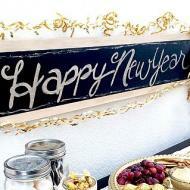 Get inspired with our craft and DIY project ideas made with our various metallic paints. 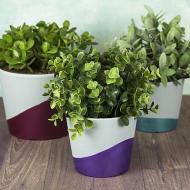 Add a metallic finish on almost any surface with our Multi-Surface acrylics.